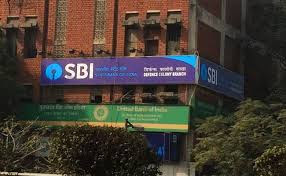 State Bank of India (SBI) offers current bank account for users like firms, companies, public enterprises, businessmen, etc. According to SBI, current bank account is a form of demand deposit where withdrawals are allowed any number of times depending upon the balance in the account or up to a particular agreed amount. A current account is generally best suited for managing day to day transactions. Normal current account is ideal for small businessmen, professionals, traders etc. who need a current account with basic facilities at nominal cost, added SBI. Any individual who owns a valid KYC (Know Your Customer) documents can open a SBI current account, said the country's largest lender on its portal- sbi.co.in. No rate of interest is available on this account. The monthly average balance (MAB) requirement for personal banking branch is Rs.10,000 while for non-rural it is Rs. 5,000. For rural branch, it is Rs. 2,500, said SBI. There is no maximum balance limit on SBI's current account. 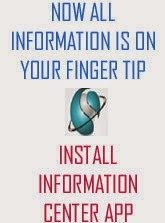 It offers free cash deposit up to Rs. 25,000 per day. SBI's current account can be opened singly, jointly, or with either or survivor, former or survivor, anyone or survivor etc. facility, said SBI. Unlimited number of payments and withdrawal facility options are available at 24000+ SBI branches across India. Nomination facilities are also available on SBI's current account. First 50 cheque leaves are free, said SBI. Statement of account is issued as per requirement at monthly/quarterly/half yearly/annual intervals, noted SBI. The personal accident insurance is optional.